Everyone can qualify for half of the 200 championship seats. It is quite simple: Fill in the questionnaire and send us the online form! Afterward, there will be a lottery for those seats chosen from correctly answered questionnaires. The winners will be notified soon after the entry deadline (30 June 2009). There is no legal recourse. 1. How many founding members of the Schachgesellschaft Zürich are known? 2. 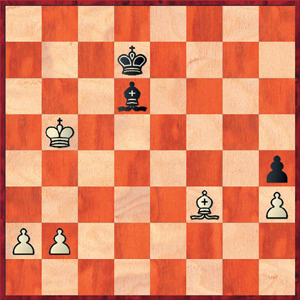 Which move characterizes the «Zurich Variation»? 3. Which member of the Schachgesellschaft Zürich won the Swiss Championships 12 times? 4. When did a woman become a member of the Schachgesellschaft Zürich for the first time? 5. Which city was the Schachgesellschaft Zürich�s main rival in the 19th century? 6. How many times did the Schachgesellschaft Zürich win the Swiss Team Championships (SMM)? 7. Which of these World Champions never played a simultaneous match in Zurich? 8. Since 1889, how many of the Swiss Chess Championships have been organized by the Schachgesellschaft Zürich? 9. Which member of the Schachgesellschaft Zürich wrote daily reports for the tournament book of the 37th Swiss and International Chess Championships? 10. Which 54th move could have been used by Edgar Walther (White) of the Schachgesellschaft Zürich to present Bobby Fischer with unresolvable problems? The information needed to fill in the questionnaire is publicly available. The answers are provided in Richard Forster�s commemorative book, «Die Schachgesellschaft Zürich. 1809 bis 2009». A brief illustrated timeline of the Schachgesellschaft Zürich can be found on these pages.